Fish that Farm, Sharks with Teeth on their Skin and more Amazing Facts! 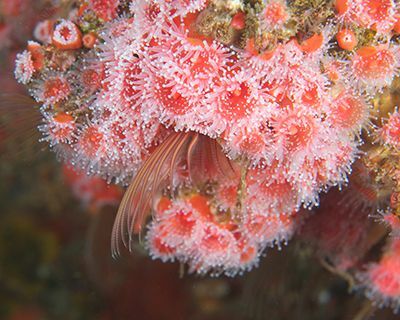 For more underwater photos, follow us on Instagram! 1. Many bony fish have more than just one set of nostrils. 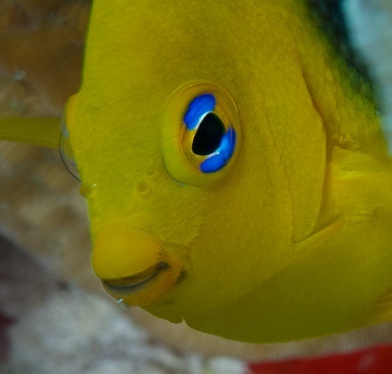 The nostrils of fish also do not open into the back of the mouth like those of mammals, and are not, therefore, for breathing. 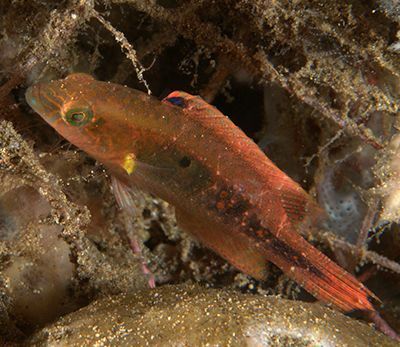 They lead into organs of smell, which are very sensitive in order for fish to detect the presence of food in the water at considerable distances. More nostrils = more smelling! 2. Not all Hermit Crabs use discarded seashells as their portable shelters. 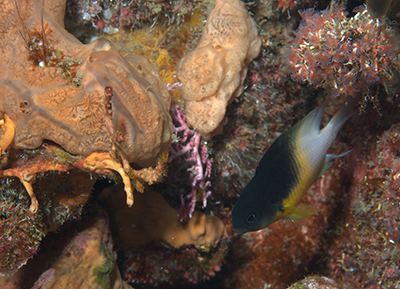 In the Sea of Cortez some hermit crabs use living, growing Hydrocoral and others, in the Indo-Pacific region, live in the fixed wormholes left by marine worms. 3. 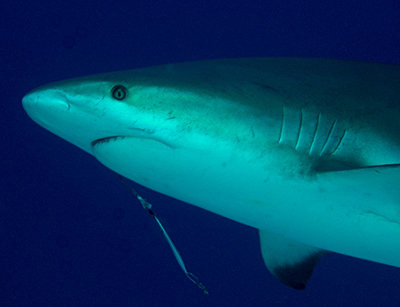 Sharks are covered with tiny little teeth called dermal denticles. That’s why their skin feels like sandpaper. 4. 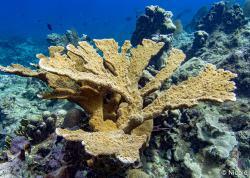 Damselfish are farmers growing little algae gardens. 5. 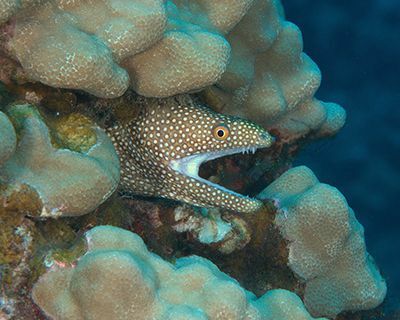 Moray Eels open and close their mouths, not as an aggressive behavior but as part of their respiration process. 6. 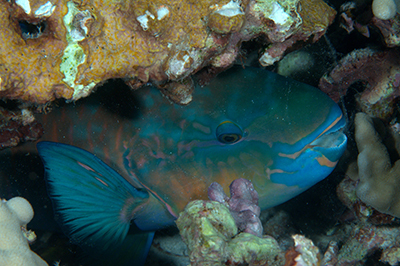 At night Parrotfish enclose themselves in a bubble of their own mucus to avoid being smelled by predators. 7. 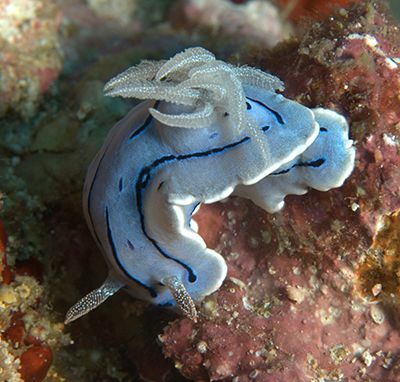 Nudibranchs can absorb nematocysts (stinging cells) from the prey they eat and later use them as part of their defensive system. 8. 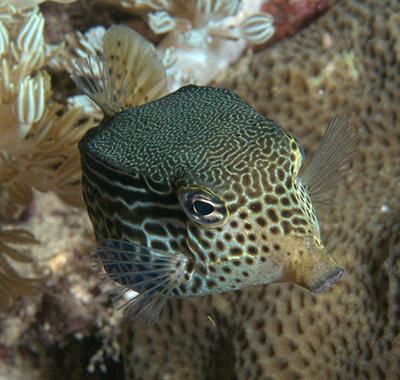 Boxfish do not have a conventional bony skeleton like most vertebrate. They literally have a bone box that only the eyes, mouth and fins stick out of. 9. 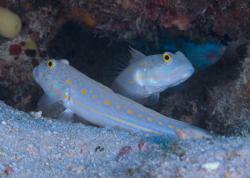 Many species of fish are hermaphrodites. They will start their lives as females and then if a male is needed the lead female will become a male. 10. Barnacles are actually crustaceans related to crabs and lobsters. 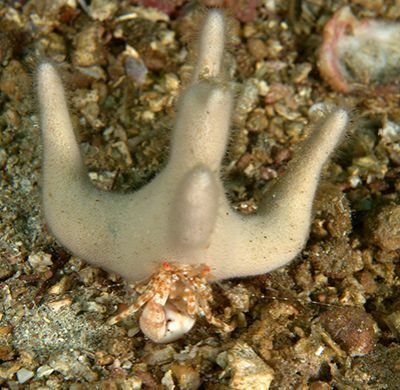 Since they are fixed to the substrate the male barnacle must use a very long reproductive part to be able to reach his mate! 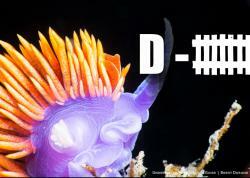 Want to see more Crazy Underwater Creatures?